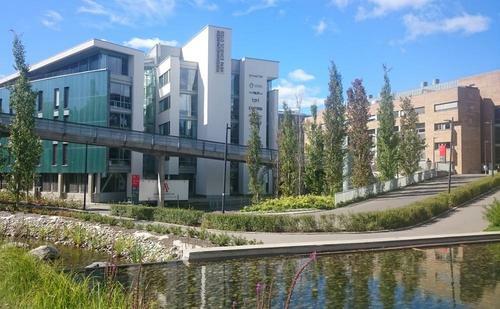 TØI is located in the CIENS-building in the Oslo Science Park (Forskningsparken). We recommend that you use public transport; subway (T-bane), tram or bus to get to us. From the city center, take line 4 or 5 in a westward direction, to Blindern or Forskningsparken station. Blindern station: Cross on the footbridge and follow the signs to Forskningsparken. Forskningsparken station: follow the signs to Forskningsparken. From the city center, take line 17 or 18 in the direction of Rikshospitalet. Get off at the Forskningsparken stop, walk up to Blindern (by Meteorologisk Institutt) and follow the signs over the footbridge to Forskningsparken (Oslo Science Park). Take line 23 (Lysaker-Simensbråthen) and get off at the Gaustad stop. 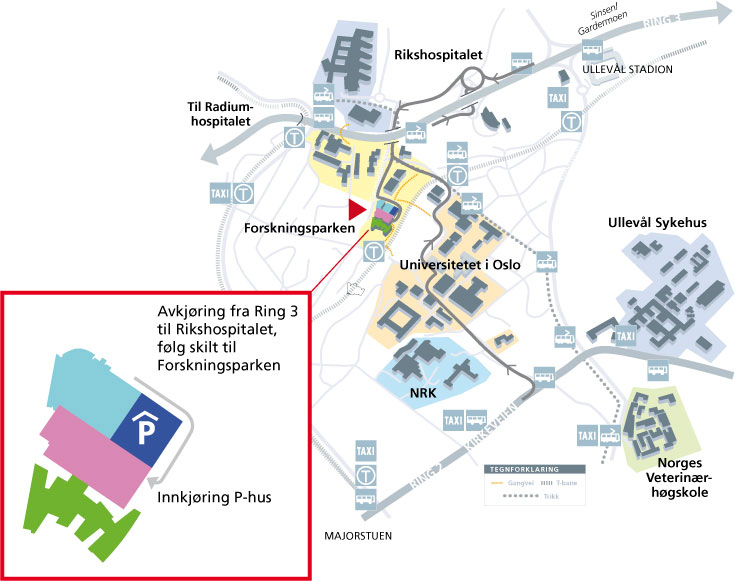 If you are coming from the west, follow the signs to Forskningsparken (Oslo Science Park). If you are coming from the east, cross the footbridge over the motorway. Follow the signs to Forskningsparken (Oslo Science Park). Drive the Ring 3 motorway either from the east or west. Between Gaustad and Ullevål stadium, take off at the exit to Rikshospitalet. A few hundred meters before the Rikshospitalet, follow the sign to Forskningsparken. There is guest parking in the parkinghouse. From Gardermoen airport you can take the Airport Express Train (Flytoget) to the Oslo Central Station (20 minutes). Take the subway (T-bane) line 3, 4 or 6 in a westward direction to Blindern station (10 minutes). Cross on the footbridge and follow the signs to Forskningsparken (5 minutes). Form Gardermoen airport you can also take the bus called Nor-Way Flybussekspressen, line F3 (Gardermoen – Bekkestua). Get off at the Gaustad/Rikshospitalet stop (approx. 55 minutes). Cross the footbridge over the motorway and follow the signs to Forskningsparken building. Please do not hesitate to contact us: +47 - 22 57 38 00.